Our CBL groups have had another successful year! 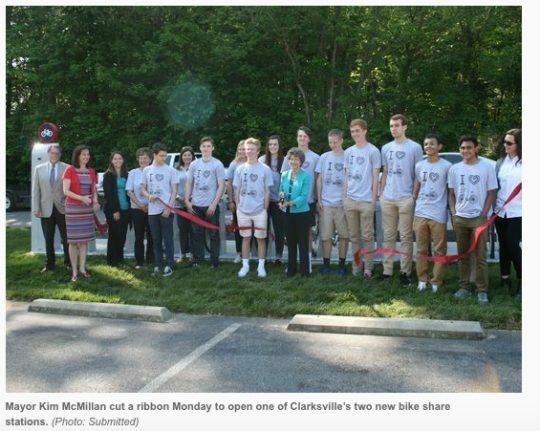 Pictured below is Mrs. Hardison’s B-Cycle group. They secured grant money to add 2 additional bicycle sharing locations. This photo was taken at the ribbon cutting ceremony at Pollard Road Station last week. Congratulations! 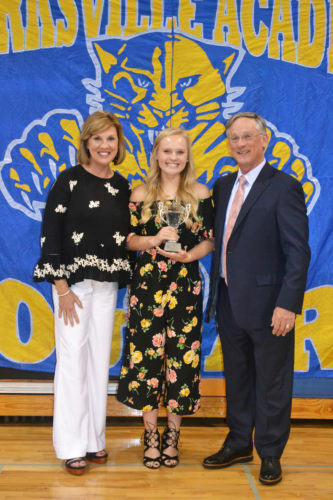 Friday, May 12 the Annual Billy Frank Smith Athletic Awards Banquet was held. Congratulations to all who won an award. 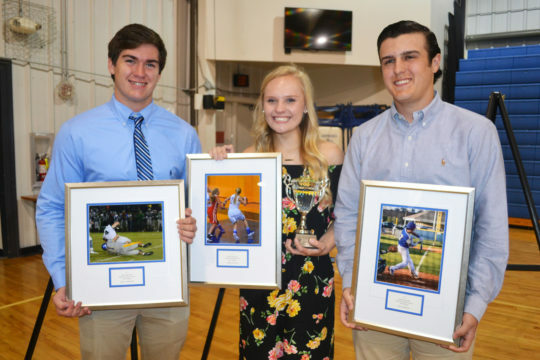 Pictured below are the Billy Frank Smith Memorial Award Nominees—Will Lankford, Abbey Hogan and Eli Norman, the winner Abbey Hogan, with Dr. Kay Drew & Shan Smith and the winners of the team MVP Awards for the night. Congratulations to Cheyenne Deibert on her win at the Middle Tennessee Science and Engineering Fair. Her project excellence was recognized by the US Metric Association and Sigma Xi. She was also named the 1st Place winner in the Microbiology Category and the Grand Prize winner of the overall fair. She won a plaque, cash and an all-expense paid trip to California. She left this weekend for Los Angeles to complete in the 2017 INTEL International Science and Engineering fair. We want to wish her the best of luck!!! 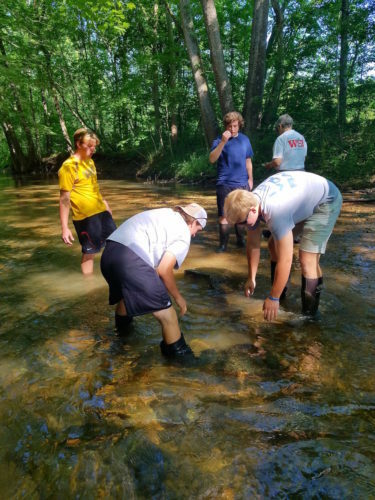 This week honors ecology students traveled to McAdoo Creek. We met with Dr. Michelle Rogers and Kathy Dewein from APSU to learn about using benthic macro invertebrates to determine water quality. 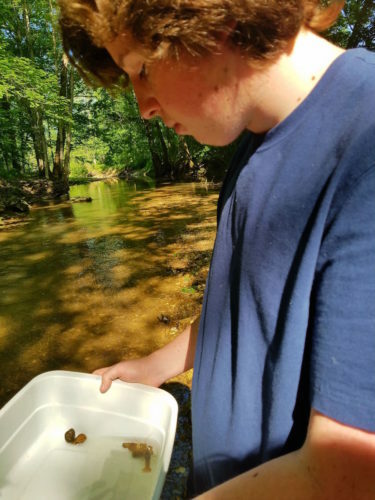 Students sampled from riffles, root patches and pooled areas looking for crayfish, larvae of stoneflies and mayflies, gilled snails, and other specimens. Our data was compiled by Dr. Rogers who was able to make the determination that our region of the creek was not polluted. 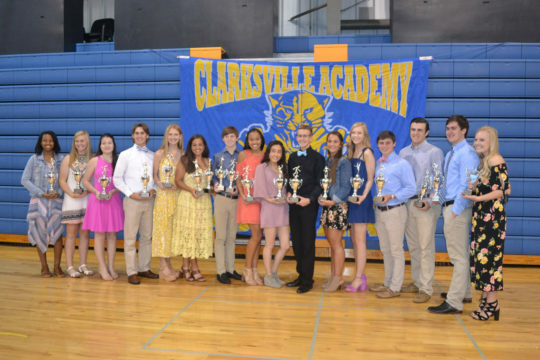 Clarksville Academy Prom will be held on Saturday, May 20th at the beautiful James E. Bruce Convention Center in Hopkinsville, KY. Family and friends are invited to attend the Grand March at 6:00pm. Prom and After Prom tickets will go on sale April 18th. Prom tickets are $35 each, and After Prom tickets are $20 each. All tickets can be purchased through Mrs. Amanda Pitt. Below is the US Exam Schedule.